This is about Kickstarter. I’ve back a few projects on Kickstarter over the years, it’s a brilliant way of supporting local, and not so local, individuals and organisations to get their projects off the ground. Projects generally offer various rewards and incentives depending on how much you pledge, which can be as little as £1 up to many many £s! There are levels to suit every budget, and it really all makes a difference. 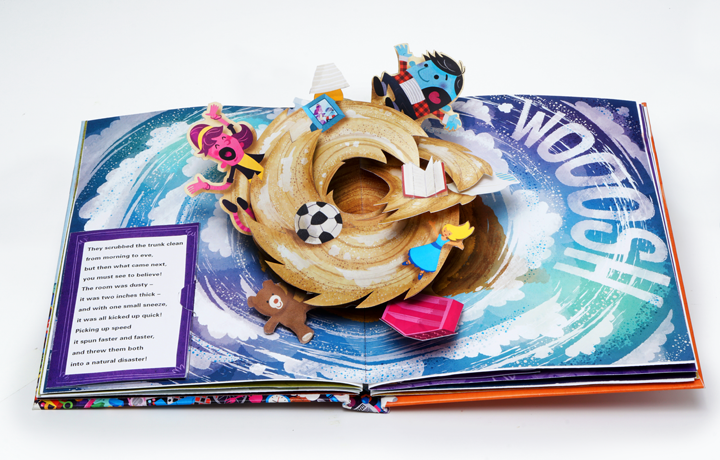 From a Book Monster’s point of view, there are tons and tons of book themed projects on Kickstarter waiting to be backed by you. I’m going to look at just two of them today. 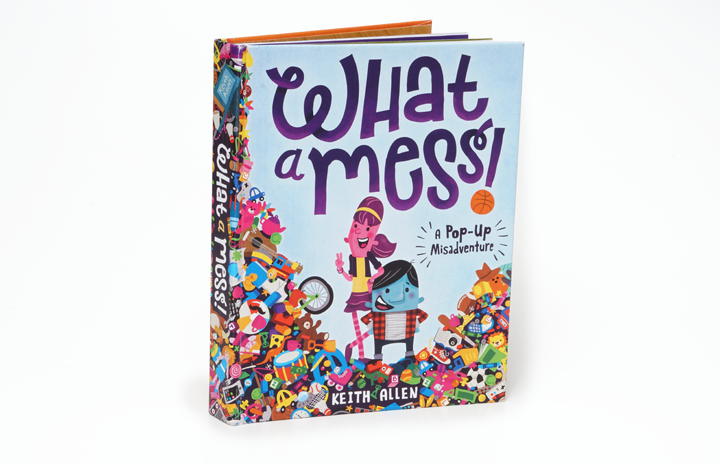 First up Keith Allen with his What a Mess Pop-Up Misadventure book. I’ve followed Keith on Twitter and Instagram for some time now, and seen this book gradually take shape. The story is based on Keith’s own children, who, like many, are not that tidy. So in this book, he asks the question, what would happen if we just never cleaned up? This is no ordinary book! 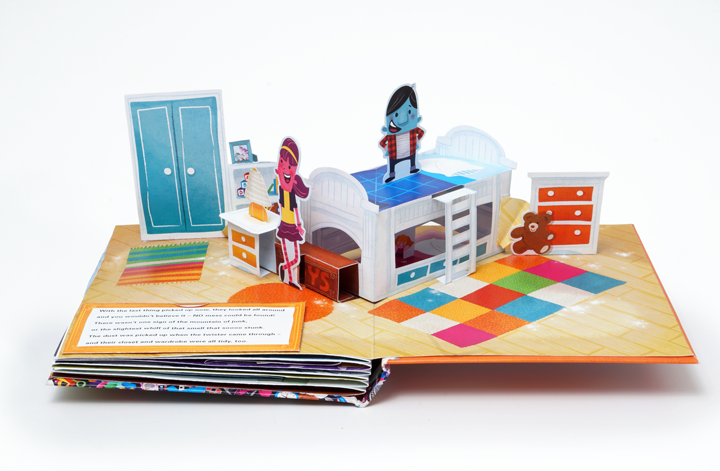 as you can see this is an intricate, carefully engineered and complex pop-up book that will engage and excite children of all ages while promoting good habits and personal responsibility. 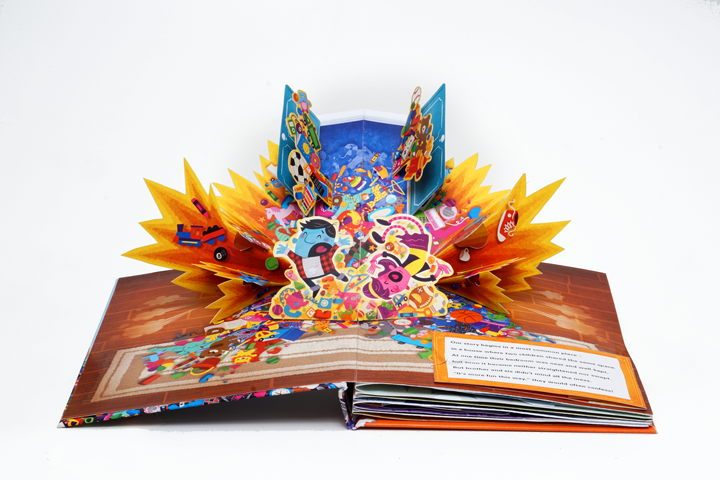 It’s a really exciting and special book, and something I’d love to see come into existence! 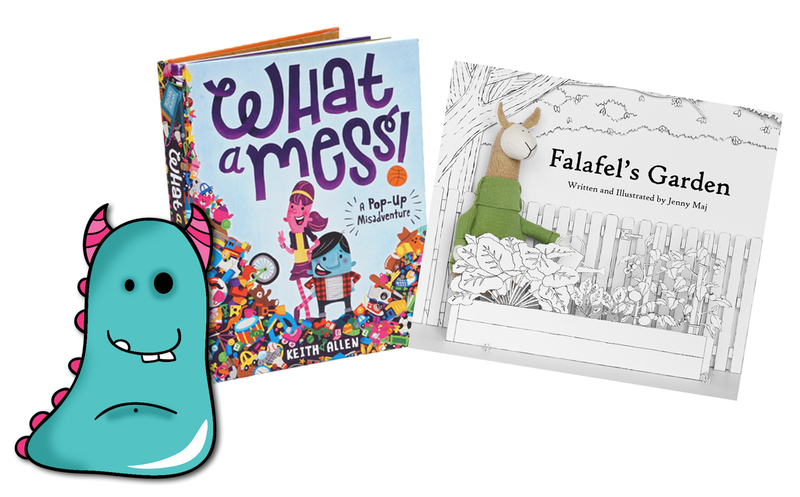 There are many levels to this project so you can pledge as little as $1 to help get this book off the ground up to $3,000 for your very own personalised version of What a Mess! I have pledged, and if the campaign is successful, I very much hope to feature it on Book Monsters in the future, so watch this space for that! The What a Mess pop-up Misadventures is now at 80% funded with just 11 days to go, so please pop along and take a look. You can find Keith hanging out all over the internet too! 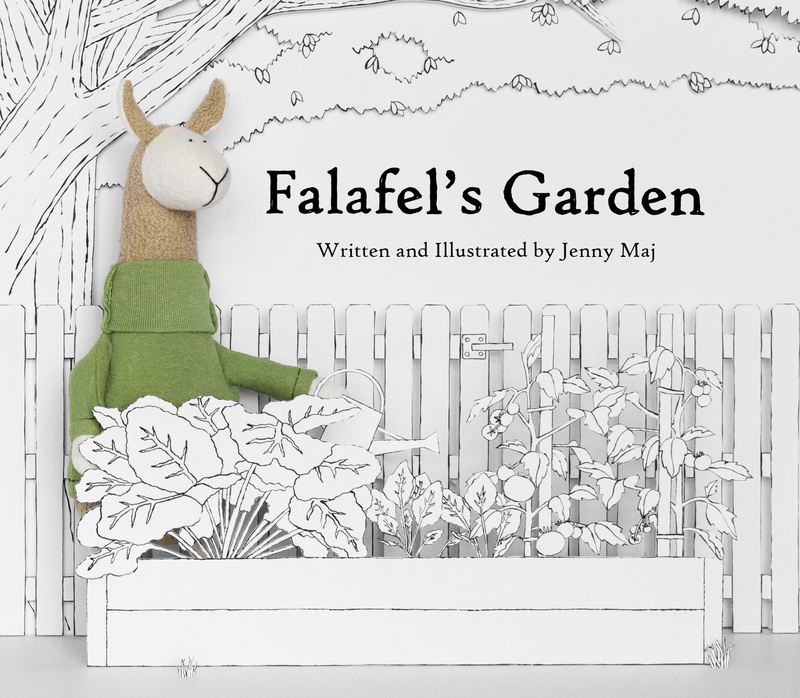 Falafel’s Garden is a rhyming children’s book about gardening, cooking, and forgiveness. 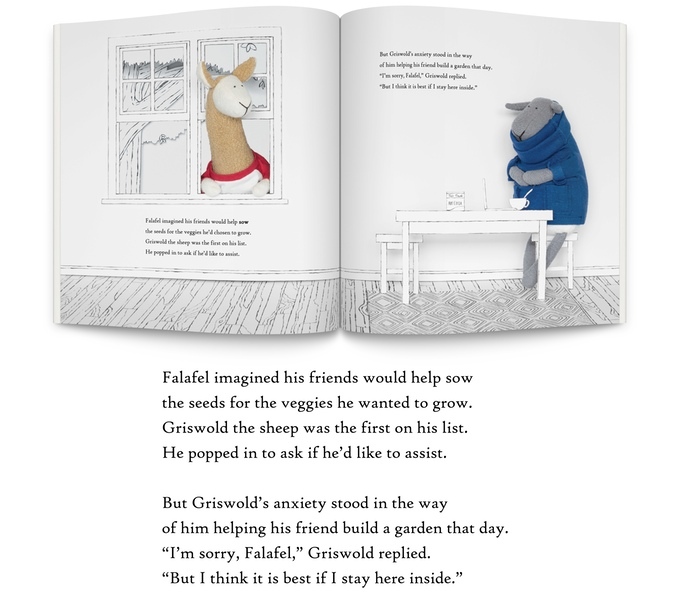 A clumsy, yoga-loving llama, a socially anxious sheep, and an epicurean horse come together in this endearing, yet humorous tale of the trials of friendship. When Jenny started making organic stuffed toys, she soon started to write little stories for them and realised they deserved to be brought to life. With a lifelong love of children’s books, it seemed like the ideal combination for Jenny to bring two loves together. She has achieved this is an adorably sweet way, with a gorgeous picture book that will delight young readers! 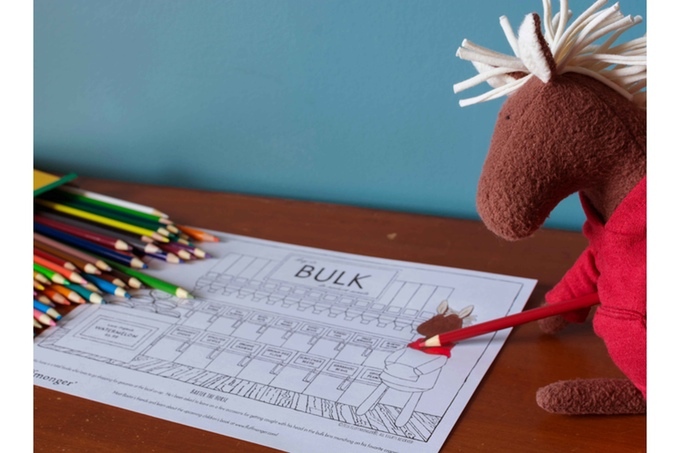 All the animal plushes are created using eco-friendly materials and ethical labour, while the book will be printed on 100% recycled paper. Again there are various contributor levels from $1 right up to $1,500 and numerous levels in between! This is a really endearing project that you can be involved with right now! So bob along and take a look. So Kickstarter is a brilliant way of being able to have a direct influence and involvement in a book (or other) themed project. To help individuals get their dreams off the ground. If you can’t pledge, why not share this post or the campaign on social media. Every little contribution will help!